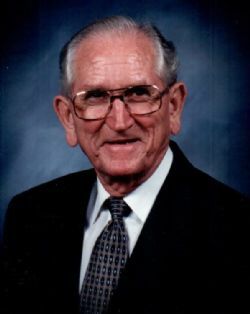 4/11/2019 from 6:00 P.M. - 8:00 P.M.
Ardis Noyal Drake, 90, of Greenville, passed away on Monday, April 8, 2019 at Colonial Lodge of Greenville. The family is having a public visitation on Thursday, April 11, 2019 from 6:00 p.m. to 8:00 p.m. at Coker-Mathews Funeral Home. rdis was born on May 7, 1928 in Campbell, Texas to John F. and Violet Cheek Drake. He married Lovenia Head on April 22, 1947, she preceded him death. He later married Glyndolyn Furr Baker on August of 1993 in Greenville. She preceded him in death on July 23, 2016. Ardis is survived by his sons, Richard Drake and wife, Tina of Liberty Hill, Randall Drake and wife, Susan of Dallas, Ronald G. Drake of Dallas; grandchildren, Derrick Weimer, Darren Weimer, Stephen Drake, Doug Drake, Richard A. Drake, Jr. and Courtney Drake; great-grandchildren, Kayla Freeman, Hayden Drake, Alec Drake , Colton Drake, Tabatha Drake and Jordan Drake. He was preceded in death by his parents; first wife, Lovenia Drake; second wife, Glyndolyn Drake and daughter, Sharon K. Weimer.